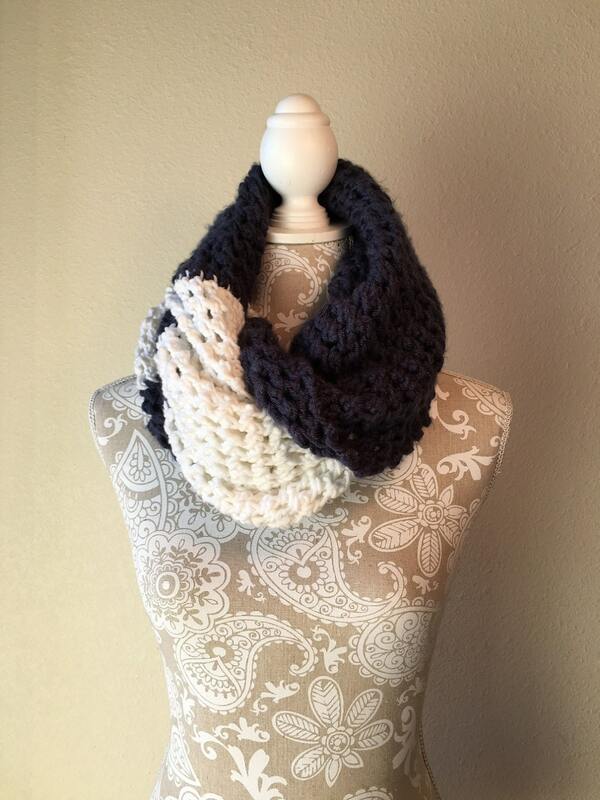 The Rivulet stitch pattern is used to create this lacy two-toned infinity wrap and scarf. 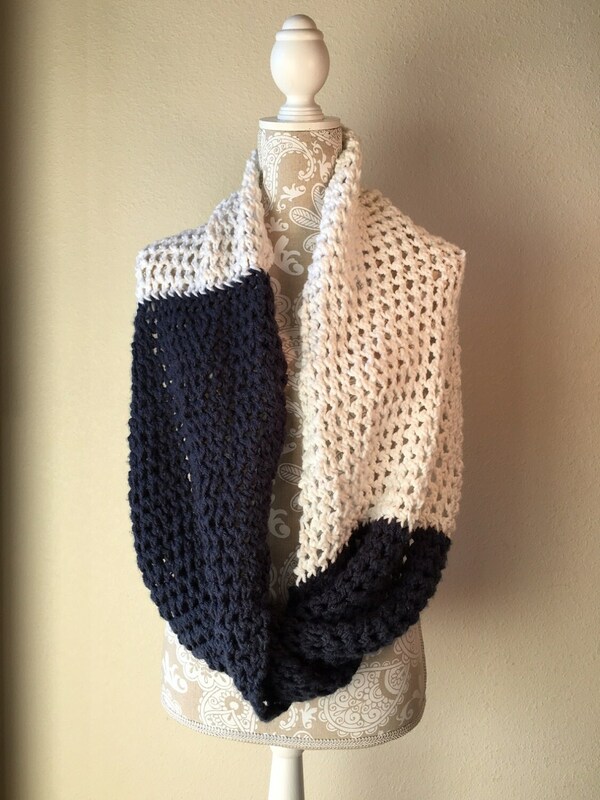 The pictured scarf was knit on the yellow Knifty Knitter round loom and used 2 skeins of Lion Brand Baby’s First in Cotton Ball (bulky, 120 yards per skein) and 1 skein of Hobby Lobby’s I Love This Yarn in Dark Denim (medium, 355 yards per skein). 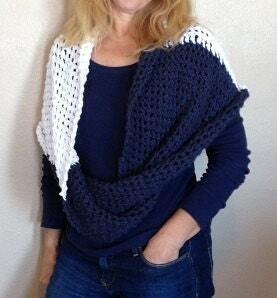 This stitch pattern is my loom knit version of the Rivulet stitch in needle knitting. “Rivulet” means little stream and you can see the yarn flowing between the “knots”. To knit this stitch on needles, the knitter must master the techniques of K2tog, yarn over, and knit into the yarn over. After several months of attempting to create this Rivulet stitch on a loom, I came up with a much simpler version that does not require the loomer to move any stitch from one peg to another. Yay! 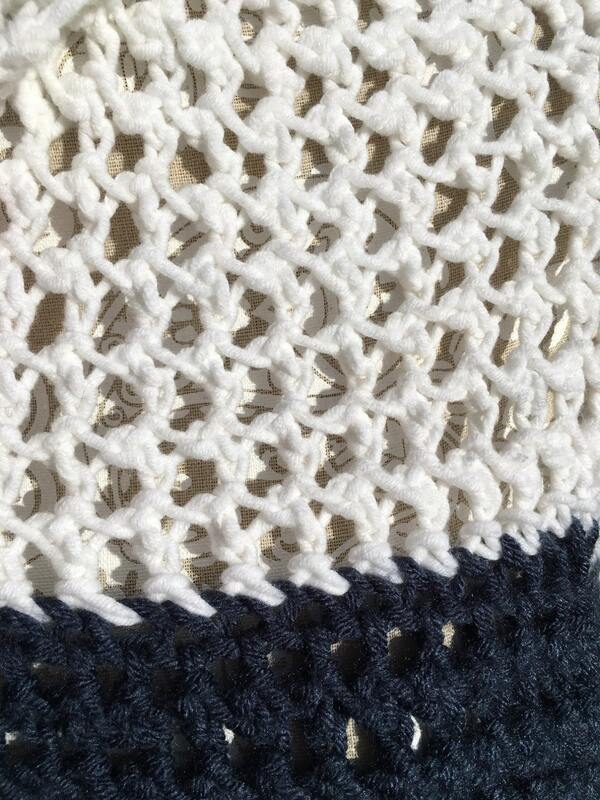 There are only two rows that make up this stitch pattern. Simply repeat Row 1 and Row 2, and you’ll have created the Rivulet stitch. 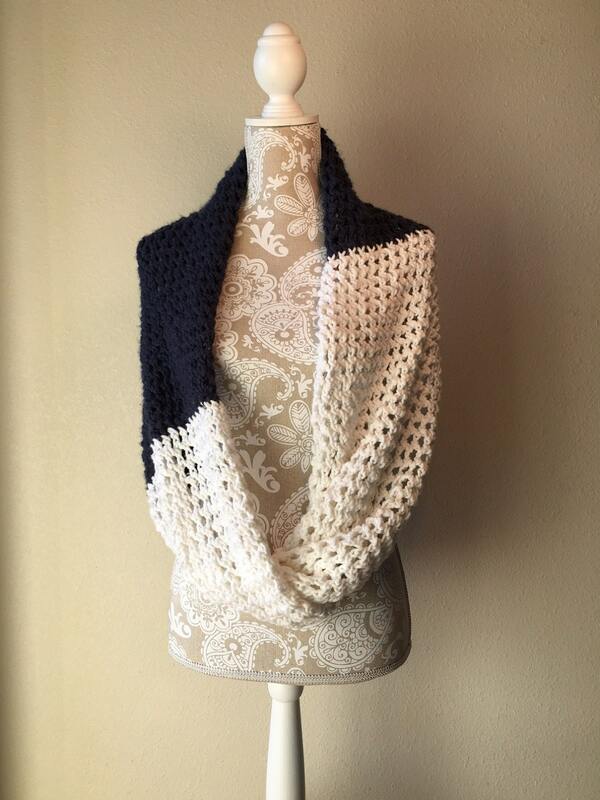 The Rivulet Lace Infinity Wrap/Scarf pattern includes a photo tutorial of step by step instructions to create the Rivulet stitch pattern. The pattern is suitable for an advanced beginner.